A membership to a warehouse club like Costco, BJ’s, or Sam’s is something that you have to evaluate carefully, both before you sign up and each year at renewal time. If you’re going to pay to shop somewhere, you need to make certain that your savings will offset the membership fees. When we first joined our local club (a BJ’s), the numbers were in our favor. Times change, though, and this year I decided it no longer worked for us. The trigger for me to reevaluate the membership was a rather large increase in the membership fee. When we first joined, we were paying $35 per year. Even at $45 per year, we stuck with it. The last bill, though, jumped to $55 per year for the basic membership. I had to run the numbers to see if we were getting our money out of it. When I sat down and looked at our purchasing history over the past year, I determined that we wouldn’t get back the membership fee going forward. There were several reasons for this. The first was that their gas station was no longer the most competitive. We used to be able to save almost the entire membership fee on gas purchases alone. Over the past couple of years, though, more stations opened in the area sparking healthy competition. Our main grocery store also improved and expanded their gasoline rewards program, meaning that they were often the cheapest option. The warehouse club had actually become one of the most expensive options in this area. Second, the club quit carrying some of the products on which we routinely saved the most money. They used to carry the ink for my printer at a price I couldn’t beat anywhere else, online or off. Then they stopped carrying it. Since I use a lot of ink, that was a big savings lost. They also quit carrying some of my preferred toiletry brands, pet items, and other items that we used frequently. Unless we were willing to switch brands (in some cases it wouldn’t have been a problem but for others I didn’t want to switch), we weren’t going to save as much. Third, the prices on many items had increased to the point where they were no longer a good deal compared to other stores. While inflation has happened in every store, the inflation at the club pushed their prices to the point where the unit prices were more expensive than places like Target and WalMart. Buying in bulk isn’t always a guarantee of savings so you have to know and track prices at a variety of stores. I keep a price book so I knew that the club had pushed itself into the “bad deal” category. As I looked back over the year, I discovered that we’d only shopped at the club five times in the past year. Other than a trip at the holidays to stock up on items for a party we were having, we’d mostly bought just laundry detergent and toilet paper, both items that I could do just as well on at other stores with sales and coupons. No way was it worth it to us to keep that membership anymore. Now that it’s gone, I don’t miss it. I actually find I enjoy having more space in my pantry since it’s not taken up by giant-sized boxes. I shop the sales and use coupons to get the best prices on the things I buy. I still stockpile some items but I get them at “regular” stores rather than the warehouse clubs. The deals that make stockpiling possible are available at places other than warehouse clubs, you just have to look for them. You shouldn’t just blindly pay the membership club renewal when the bill comes each year. 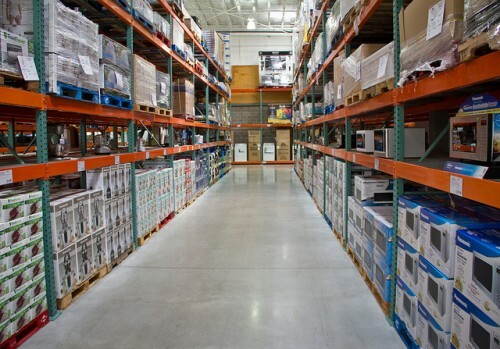 A warehouse membership is like any other contract you have (cell phone, cable, etc.) The price can gradually increase while the value decreases. Sometimes we keep paying, assuming that things are still the deal that they once were. Things change, though, and assumptions and inertia can leave you paying a bill that you no longer need to pay. Before you renew, take a moment and ask yourself whether you got your money’s worth in the past year. Check your records and receipts to see how much you spent versus how much you saved. Wander the aisles of the store as if you were a first time customer deciding whether to join. Check the prices and the products that are being carried to make certain that they are still the best deals and they are products you use. If you plan to buy their gas, make sure they’re still the best deal in the area. If you don’t think you’ll get full value for your money, let the membership go. You can always rejoin later if your needs change and you decide you want it back.